Hi everyone! I want to make kwento. This weekend—I must confess!—I spent more than a few times admiring my skin in the mirror. It's not perfect. I still have a few whiteheads and a bit of dark acne scars on my cheeks. But my skin was smoooooooooth. No more scary bumpiness, no more angry pus-filled volcanoes. My Advanced Anti-Acne Facial Treatments from Flawless really work! Still, those facials happen every two (or so) weeks. What do I do in between visits to Flawless? I manage my skin with three Flawless anti-acne products: SAS Soap, Erythromycin 2% solution, and Skin Protect Gel. This is for deeply cleansing oily skin. 1. Just a little bit of soap creates a lather soooo rich and thick! 2. There is no fragrance. I'm sensitive to fragrances. 3. My skin is super clean! Suds up fast, doesn't melt quickly. This is a topical antibiotic solution. Its main purpose therefore is to kill bacteria on my skin. 2. 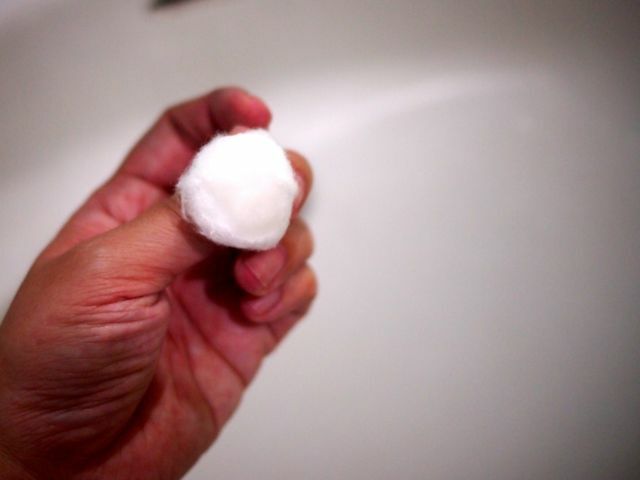 If I have a developing zit, I just soak a cotton ball in Erythromycin and plant that ball over the affected area for 10 minutes. The pimple dies. 3. It lasts for 4-6 weeks so it's affordable. 1. Oh boy, does this sting! It evaporates quickly enough so it doesn't feel like your face is burning. I like to fan myself while applying this. 2. Okay, I don't know if this is actually the medicine that causes it, okay, but my skin smells bad after application. It smells like wet socks. Vince says my face doesn't smell like wet socks but, nope, it doesn't smell nice. 3. My skin doesn't taste good, too. I know this because when I lick my lips, I sometimes lick past my puckers and I taste the medicine, and it tastes awful. Vince concurs. Heehee. But who cares??? My skin is clearing up by the day! Wala na lang kissing masyado while I'm on treatment! No added color to the solution. This is a sunscreen. All the dermatologists tell me that this is the single most important product in any skincare regimen! 1. It's soooo cheap! My favorite sunscreens are Kiehl's Ultra Light Daily UV Defense (P1,995 for 30ml), Lancôme UV Expert SPF 50++ (about P2,000 for 30ml), and VMV Armada SPF 30 ($50 or about P2,300 for 88ml). This tiny tube is P290! 2. This lasted me 4 weeks! The reason it lasts long is because I only need a pea-sized amount! Why does that matter? The FDA, dermas, beauty brands and beauty magazines will tell you that we all need a teaspoon-sized dollop of sunscreen for our face, ears and neck. That's a lot. And then did you ever notice that sunscreens are always sold in these tiny tubes??? So if I put 5ml (that's a teaspoon) of sunscreen on my face from a 30ml tube, that means a tube will last me just 6 days. Two thousand bucks for 6 days is insane. 3. It mattifies my skin! I'm super oily and oily-skinned girls really don't like sunscreen. But this sunscreen is so light, it's in gel form! And you only need a little! And the best part is my skin gets matte! No oiliness for hours! 1. The smell. It's too fragrant. So thank goodness I only need a tiny amount for my face! 2. It's a mattifier, right? While I like how my skin stays not oily for a loooong time, I also need to wait for a looooong time for the sunscreen to dry up. Okay, I exaggerate. I only wait for maybe a minute after application for the product to completely dry up. If I apply makeup while the sunscreen is still fresh, it rubs off like libag. So I brush my teeth muna while I wait for it to dry. Then I apply my makeup. 3. It's a sunscreen but it doesn't say the SPF. So on days I need to be under the sun, I still put an extra layer of sunblock. 4. Like all sunscreens, this needs to be reapplied every 4-6 hours. Just a little gel goes a long way. 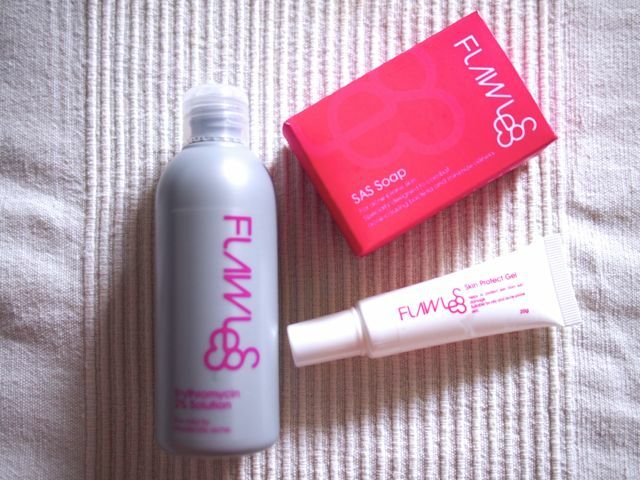 All these skincare products are available at Flawless clinics nationwide. You'll need a prescription to purchase them, however. That shouldn't be a problem because a consultation with the resident dermatologist at Flawless is free! Hi. Curious about the sunscreen. Does it affect the way the makeup sticks to your face? Or I mean are there signs that you have sunscreen on under your makeup? Is it ok to still put foundation on after the sunscreen? Super thanks for your inputs! Hi! Can you still put foundation after the sunscreen? Is it obvious that you have sunscreen under the makeup? I've tried some that kind of make your make up look "cakey". Your input would be appreciated! Thanks!